Rose to fame with other Liverpool poets (Brian Pattern & Aidan Henri) in the 1960's & 70's. Notably wrote the lyrics to 1968 No. 1 single 'Lily the Pink' and lots of the dialogue to The Beatles film 'Yellow Submarine'. He publishes poetry for children and adults. 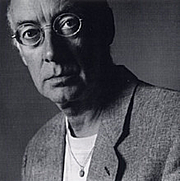 Roger McGough is currently considered a "single author." If one or more works are by a distinct, homonymous authors, go ahead and split the author. Roger McGough is composed of 3 names. You can examine and separate out names.